Do You Need A Labour Hire Company Or A Recruitment Company? At first glance, it may seem like a recruitment company and a labour hire company perform the same function. But if you take a closer look at what they do, you will notice that significant differences exist. They may actually belong to the same line of business – the business of providing employees to companies. However, there is a fundamental difference in the manner in which they go about it. A recruitment company is essentially like a matchmaker. They connect people looking for suitable employment with companies that are looking for new hires. They handle all the hiring tasks your HR personnel handle and ensure that the candidates they recommend have the required qualifications, experience and skills to fill specific roles and meet your business needs. Once the client company accepts the candidate that the recruitment firm provides, they become an employee of the former. The client company will manage them, pay their wages and entitlements etc. Saves you time and money as you are able to use the recruitment firm’s database to get the best new hires to fill vacancies. 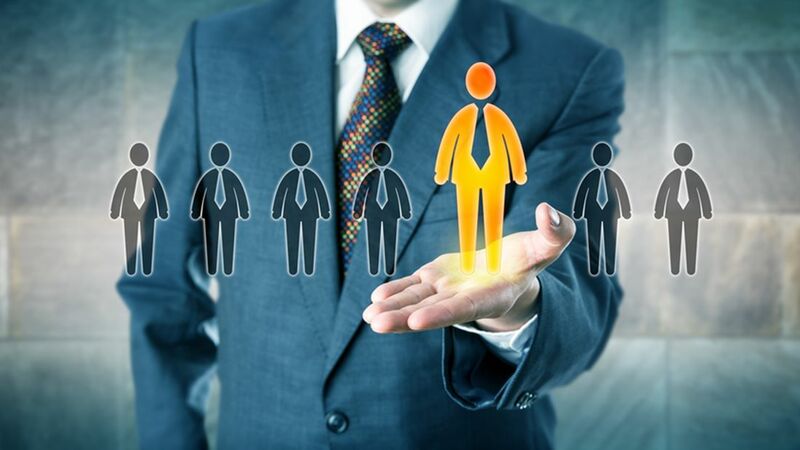 Recruitment companies always maintain vast databases of people with different types of skills. This means they are able to recruit for almost any position within a very short span of time. They take the hassle out of the recruitment process and you only have to provide the role description over the phone or email and they handle the rest. What is a Labour Hire Firm? A labour-hire firm is similar to a recruitment company in that it links up suitable people with companies seeking employees. But that’s where the similarity ends. A recruitment agency completely hands over the new hire, post the recruitment process. In comparison, a labour-hire firm hires out workers to companies that need them. It means the workers provided to you either for the long or short term aren’t your employees. Their wages, entitlements and insurance etc. are managed by the labour-hire firm. The labour hire company will manage the entire recruitment process from start to finish including training and onboarding. They also handle payroll maintenance for these employees. The workers that labour-hire companies provide are vetted and trained and are able to start working as soon as they are hired. You can hire them to cover for your full-time employees that have gone on leave, are ill or on annual leave etc. You get skilled and job-ready employees to handle short term business requirements. This is an ideal solution for when you have an overload of work and need to wrap up projects within a stipulated timeframe. You save money on hiring full-time staff and can only hire skilled workers when you need them. Which Is The Best Solution For Your Business? The option you choose will be entirely dependent on your requirements. If you are looking for a permanent employees and a one-off hire, a recruitment company would be a better option. On the other hand, if your company’s labour needs fluctuate frequently, labour hire might be a better solution for you. This would significantly help reduce costs and time for your HR personnel. If you use the services of a labour-hire firm, you can quickly tap into immense pools of qualified and well-trained workers any time you need someone to handle urgent business requirements. You are able to do this without having to worry about going through a lengthy recruitment and time-consuming and expensive training and onboarding process. You’re also saved the expense of hiring too many permanent workers. Unless you have very general recruitment needs, ensure that the agency you opt for has specific industry knowledge and expertise. If they don’t, it might prove to be challenging for them to find the right workers for you. The company should have multiple recruitment strategies to make sure they are able to provide you the best worker. The firm should have a robust screening process in place to make sure that the workers they send across will meet your requirements. Check whether the agency is registered and they comply with all the existing labour laws. Check aspects such as guarantees and reliability and how their retention rates are. The next time you need new staff either on a permanent or short-term basis, keep in mind that a recruitment agency is very different from one that provides labour hire solutions. Determine exactly what your requirements are in order to find a solution that works best for you. That will help ensure you get the right employees with the least amount of hassle and within the shortest possible time.